At Matcon we are proud to supply some of the largest, most famous household brands and small manufacturers. All our customers, regardless of the size of installation, receive the same dedication and support wherever their head office or factory is located. While the Matcon Head Office is located in the UK, we have a number of regional offices around the world and have a strong history of providing local services across Europe and in the USA, China, Singapore and India. 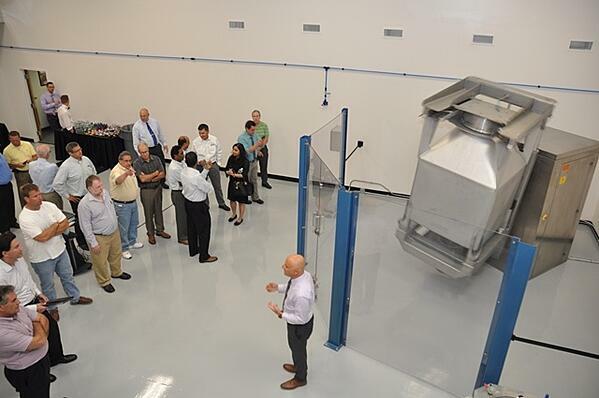 On 19th July 2017 Matcon Americas opened a state of the art facility in Delran, New Jersey providing world class test plant facilities and after sales parts, but our History in the US goes back for further than that. Based upon a growing business demand to support the US Pharmaceutical market, Matcon established offices in New Jersey back in 1991. 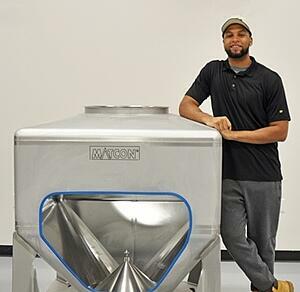 For nearly thirty years, that local presence has allowed us to respond to the needs of the marketplace and while our presence has changed over the years in size and location to cope with a more diversified industry base; our US location has always been instrumental in supporting the several hundred installations in the region. 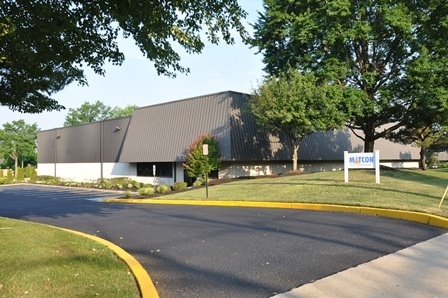 Across Matcon, we are extremely proud of the office and factory facility that was opened in 2017, Matcon Americas in Delran, New Jersey. With spares inventory, service assembly workshop and state-of-the-art test plant, we can be more responsive to our customer’s needs than ever before. This investment into the US market also aligns with our growing business in the wider range of industries across North, Central and South America. Our team is 100% dedicated to providing a customer experience that sustains long-term partnerships with our clients. 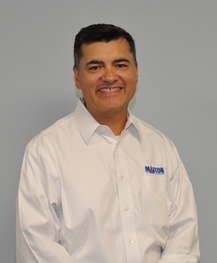 Based in the Matcon America’s Delran, NJ office, Dan is responsible for Matcon’s business in North, Central and South America. His primary focus is making sure our customers are a top priority and helping the team to maintain that focus. Dan firmly believes that “customer obsession starts with listening, which is the key ingredient in effective communication. Once needs and expectations are fully understood, then it is about allocating resources properly in a timely fashion to meet those needs”. In addition to looking after the overall business, a substantial portion of Dan’s time is spent listening to customers to helping them to develop Conceptual Solutions, primarily across the United States. Dan’s ambition for Matcon is to be a company that is easy to work with, provides excellent customer service and has expertise that customers can rely upon time and time again. 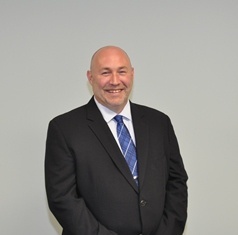 As a Regional Sales Manager, Phil is responsible for developing new business across all industries and areas in the US. While Phil reports into the Matcon Americas office, you will often find him either in the South Atlantic, South Pacific, Gulf Coast or Canadian territories. His contacts and customers cover most industries from Food to Sports as well as Pharmaceutical, Chemical and Beverages. Phil has been a valuable member of the Matcon team for over 20 years, with a total of 30 years in the industry. 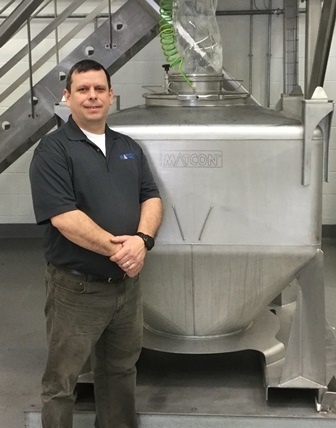 This not only means he can advise and consult on the best solution for our clients but provide effective ideas to solve most powder handling challenges. Based out of Kansas City, Shambrae recently joined the team as a Regional Sales Manager covering the Midwest of the USA. Shambrae has significant experience of providing equipment to processing industries and is always pleased to provide technical advice to Matcon customers. This not only ensures effective application of our equipment but a return on investment across all industries. As a key member of our US team, Shambrae is committed to achieving 100% customer satisfaction, stating that “customers deserve attention to detail and consistent follow-through during every step in the sales process”. Dan has been with Matcon for more than 20 years, starting as a Field Service Engineer before progressing into a Service Account Manager role. Dan’s level of expertise and knowledge of products, along with his understanding of the needs of others, ensures that he offers guidance and support across all industries. Dan provides value to our existing customers by optimizing existing installations through technical support, equipment inquiries, equipment refurbishments & upgrades, preventative maintenance and training programs. 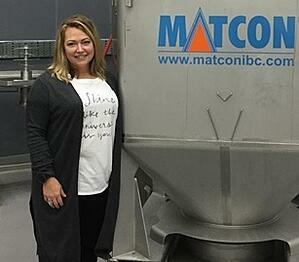 To learn more about Matcon's Aftersales team please visit our dedicated website page. With over 20 years of technical and service experience, Mark focuses on supporting our customer base across the US, providing technical support, servicing and customer care, as well as equipment training and SLA adherence. Mark puts his customers first, stating that they are 'the lifeblood of an organization'. Mark's customer centric approach always ensures that equipment is handled with critical care, to keep everything running smoothly. Spending most of his time with customers, Mark is keen to always "deliver good on Matcon's word”. Taking this philosophy as his own personal brand, he makes sure that our customers benefit from cost effective servicing to ensure they never have to stand still. 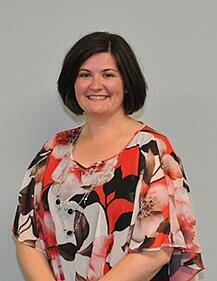 Based in our Delran office, New Jersey, Jaki manages Spares and RMAs for our existing customers. Jaki is dedicated ensuring that every customer gets the information & parts they need to ensure their systems are always running at highest level of performance. Jaki is always keen to going the extra mile to make sure the customer has a great experience. This means helping them to keep the correct spares on their shelves, to eliminate down time and ensuring that their existing equipment is kept up to the latest standards through our RMA service. 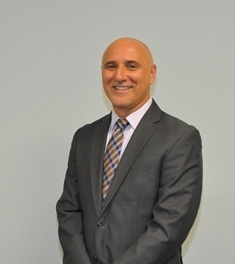 Jonathan is involved in a range of activities with Matcon, based at our Delran office. Working as an Aftermarket Service Technician, Jonathan specializes in the refurbishment of existing customer equipment, as well as shipping and receiving spares, stock handling, warehouse maintenance as well as managing the test lab. As Jonathan is regularly in contact with customers, he is always keen to provide a first-class customer experience by assisting the rest of our Matcon team and using his technical system knowledge to advise on equipment use and maintenance. Whether it is working to reduce lead times on RMAs, helping trouble shoot equipment problems or by making sure that orders are fulfilled and shipped on time, Jonathan wants Matcon customers to know that we care and receive the very best service. 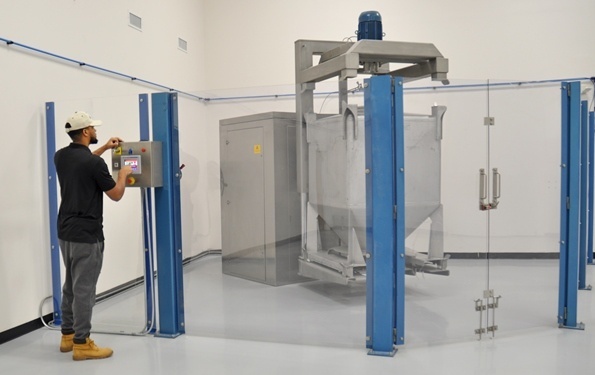 As well as reducing RMA lead times for existing customers, Jonathan is committed to maintaining a top level test lab to demonstrate the Matcon Advantage to future customers. If you would like to learn more about Matcon Americas or contact a member of the team, please complete the contact us form or to request more information about our Aftersales and servicing team please click here.